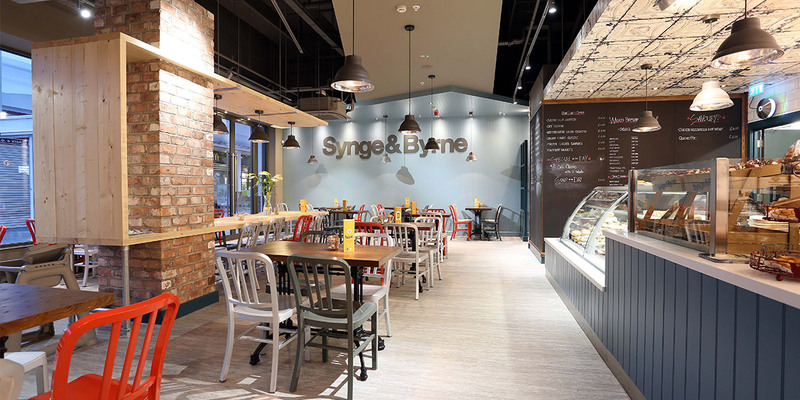 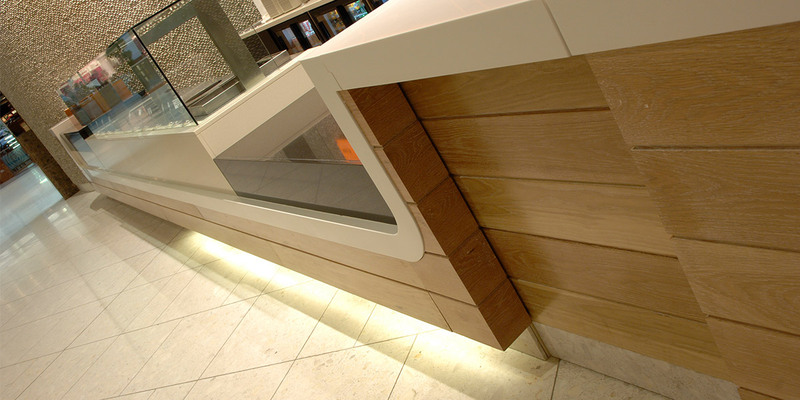 Bespoke Corian serve over counter with integrated bain-marie. 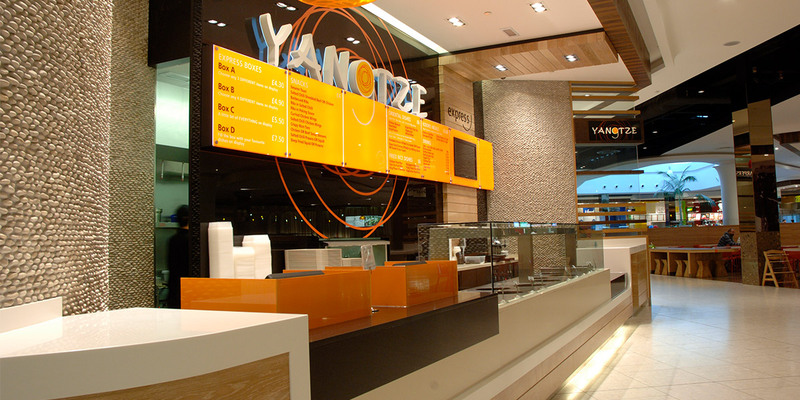 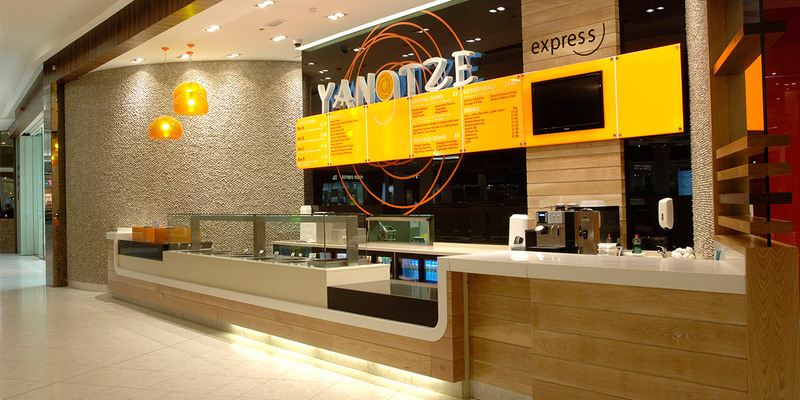 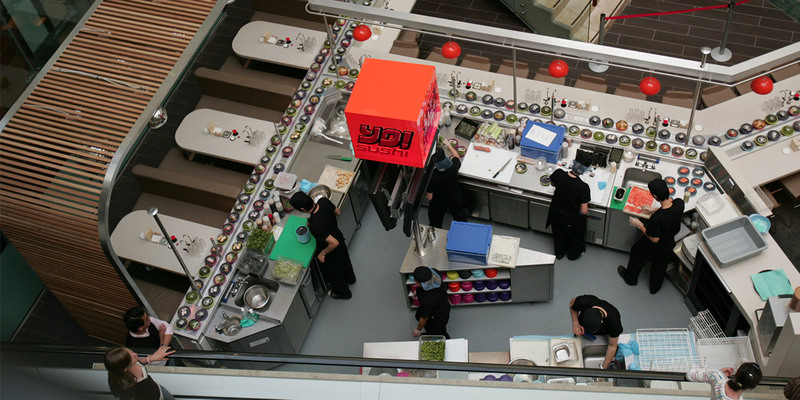 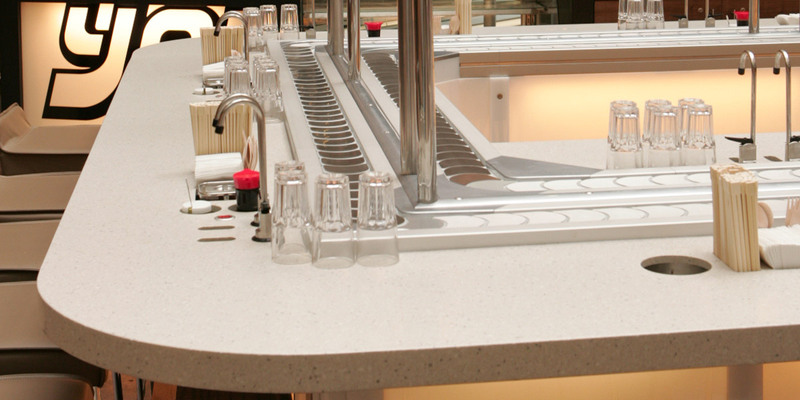 High level Corian dining worktops manufactured to integrate with the YO! 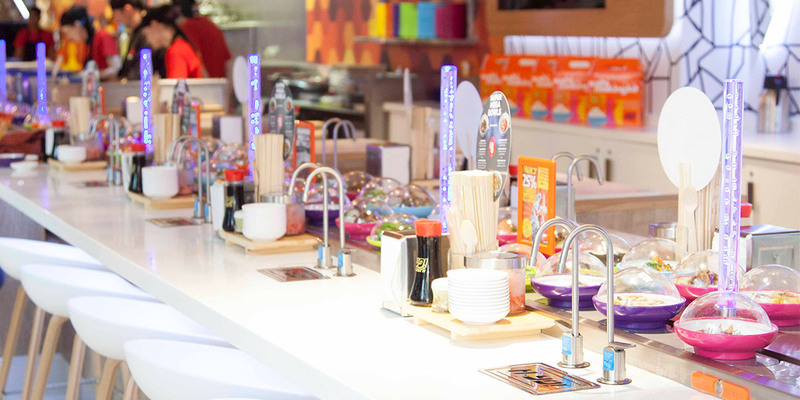 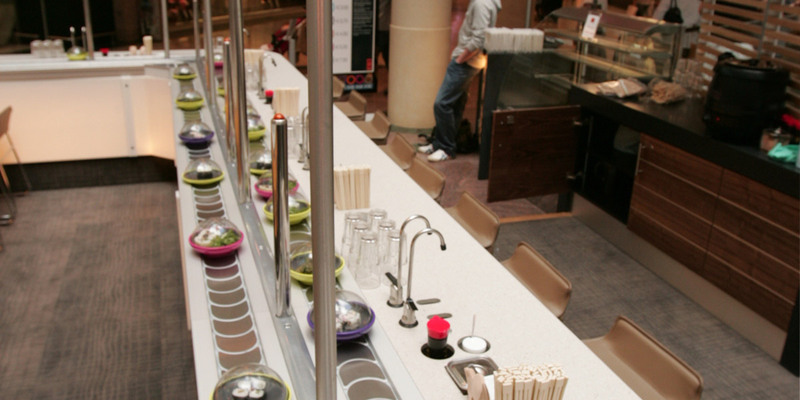 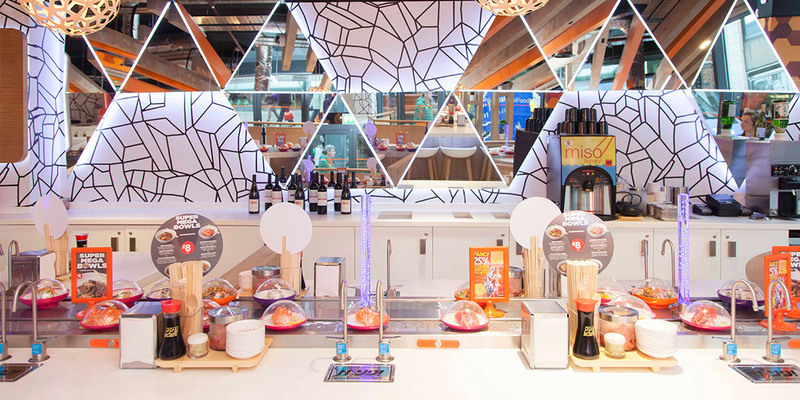 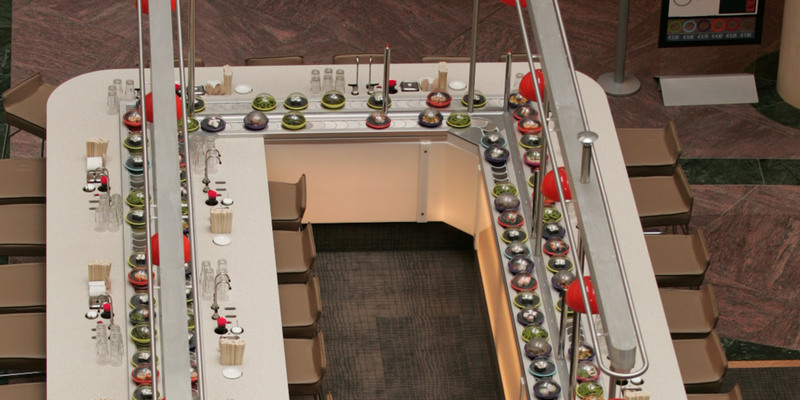 Sushi conveyor system. 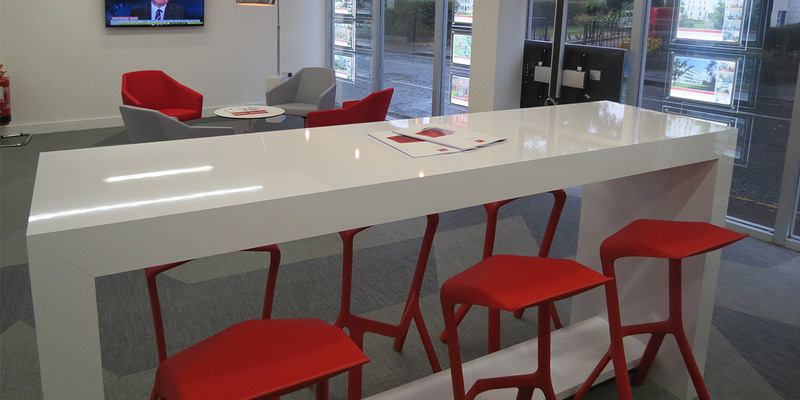 Other items include Corian table tops and feature maître d’ station. 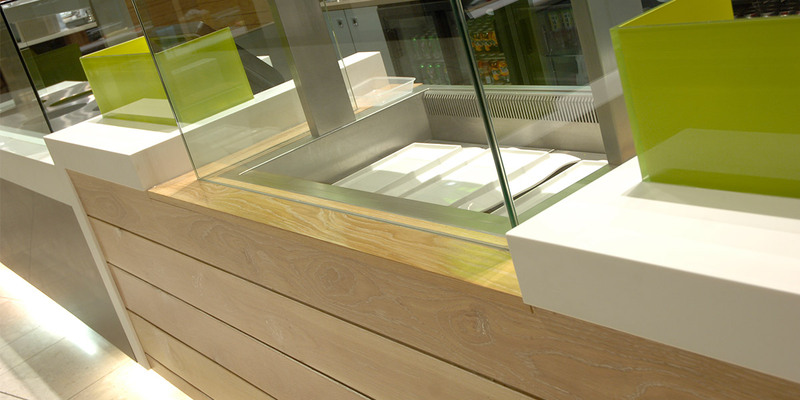 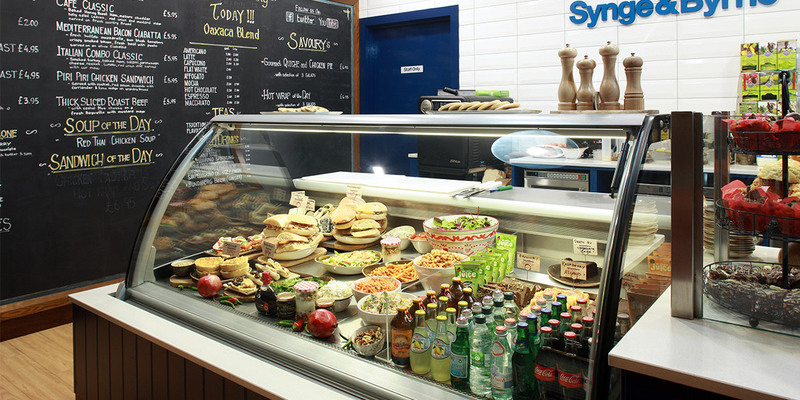 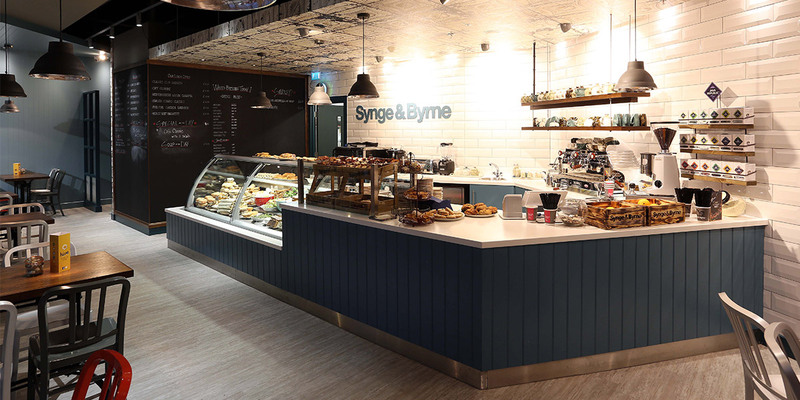 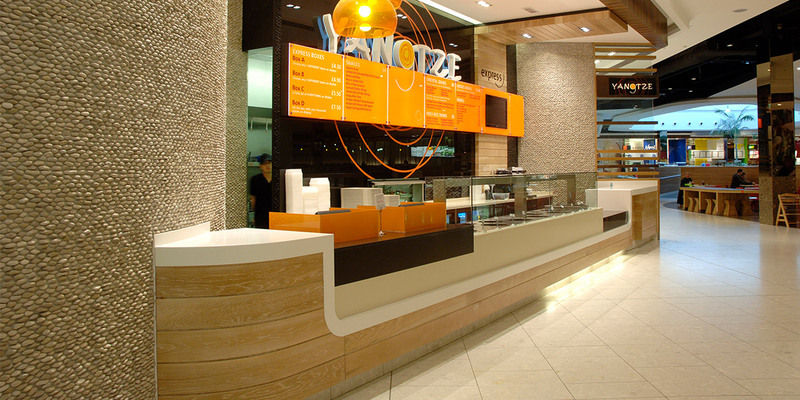 Angled Corian serve over counter with integrated refrigerated display units. 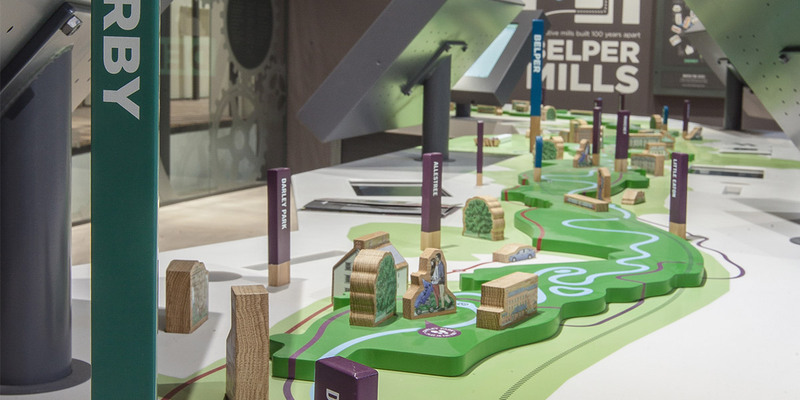 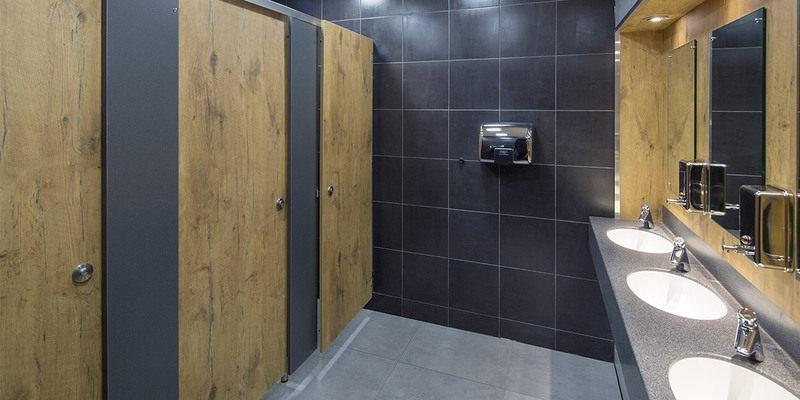 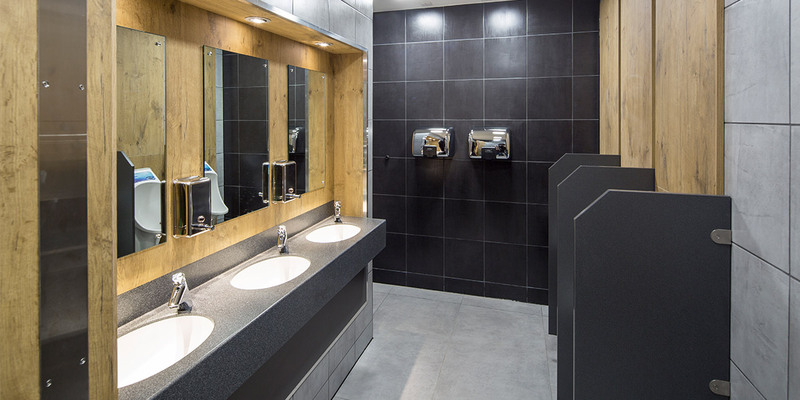 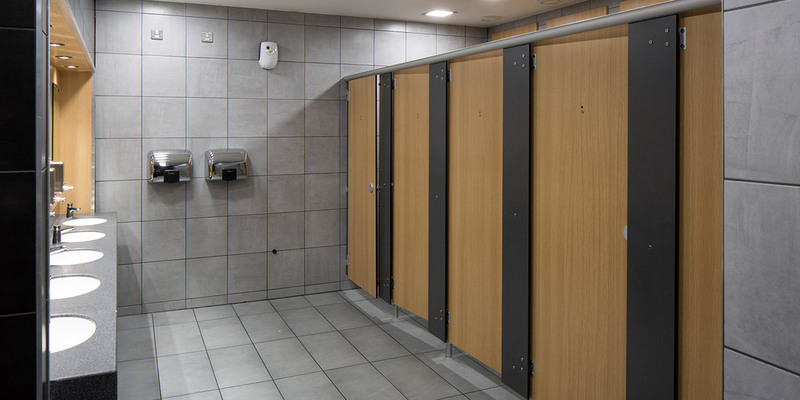 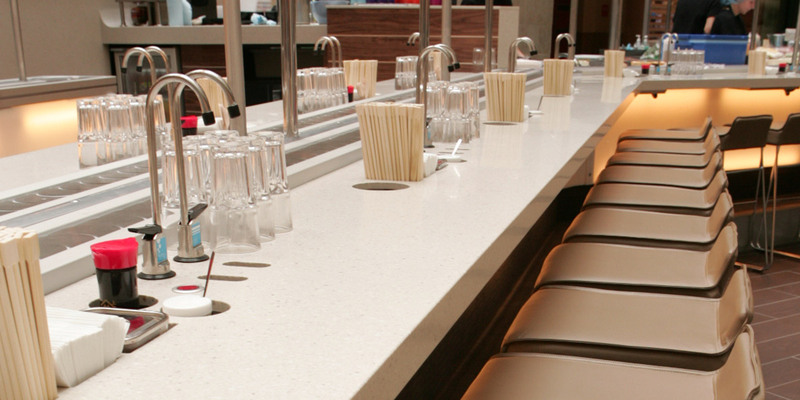 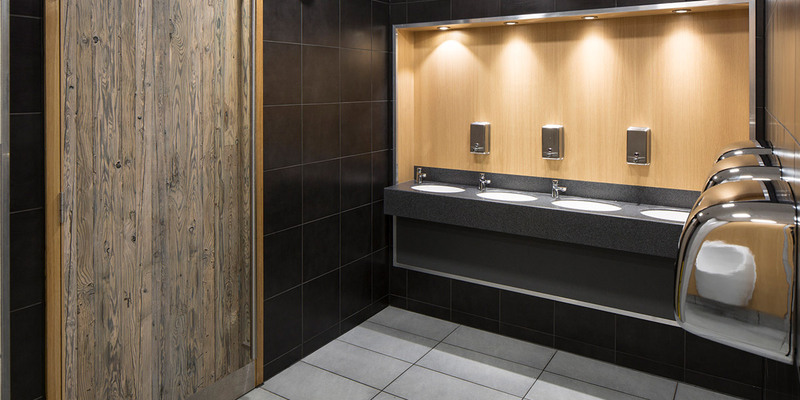 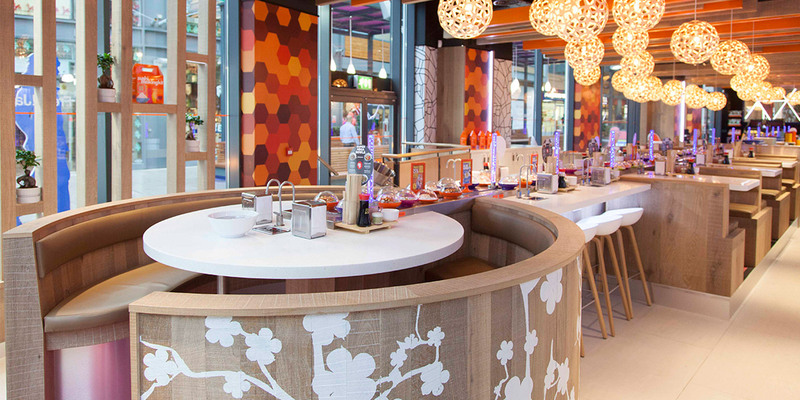 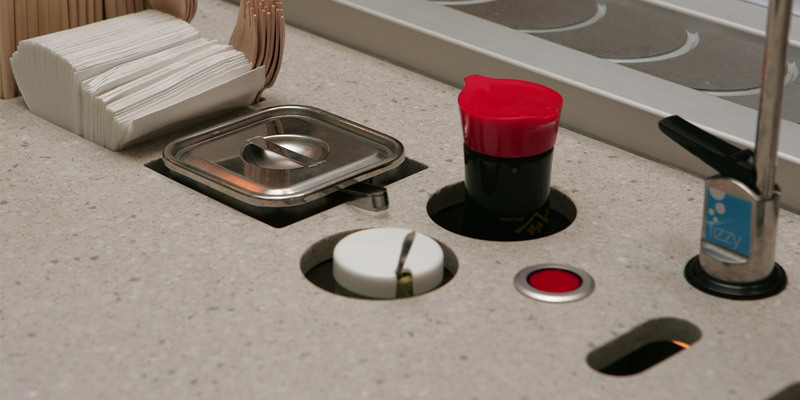 Custom made Corian vanity units within newly refurbished McDonald’s restaurants across the UK. 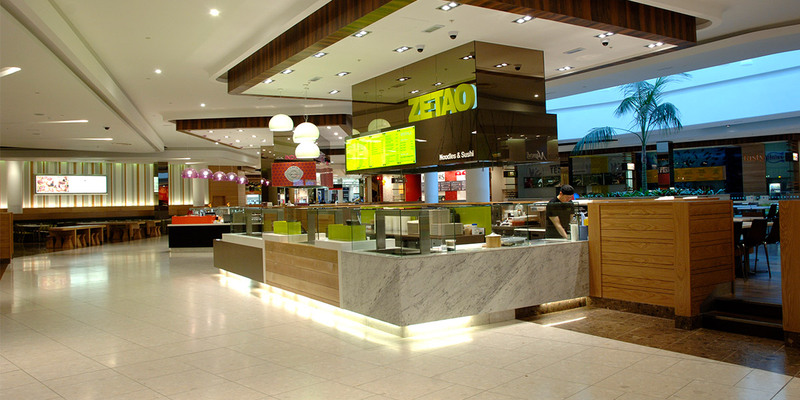 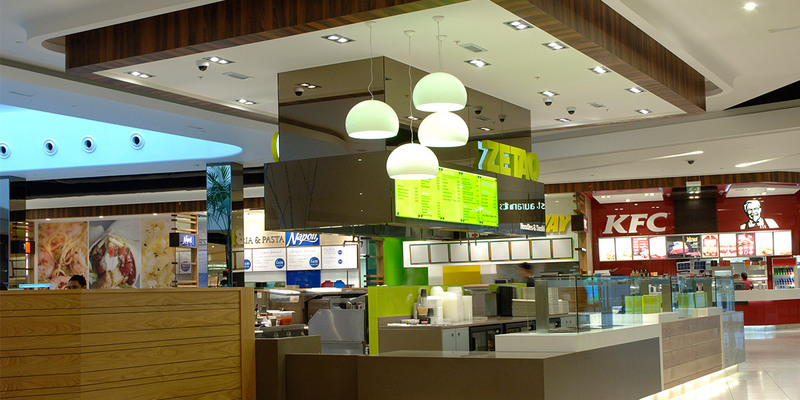 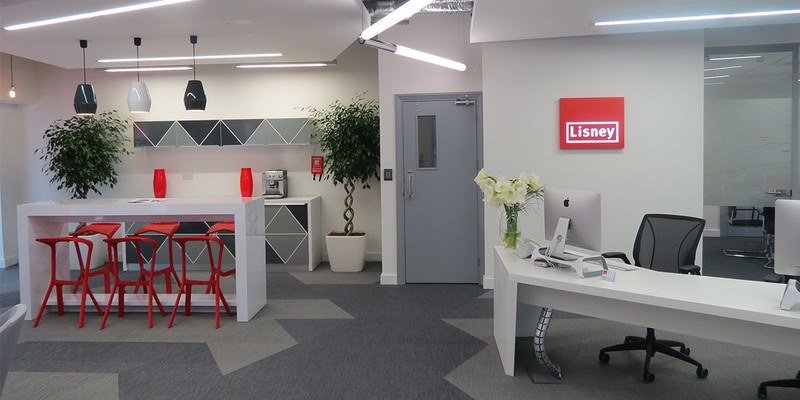 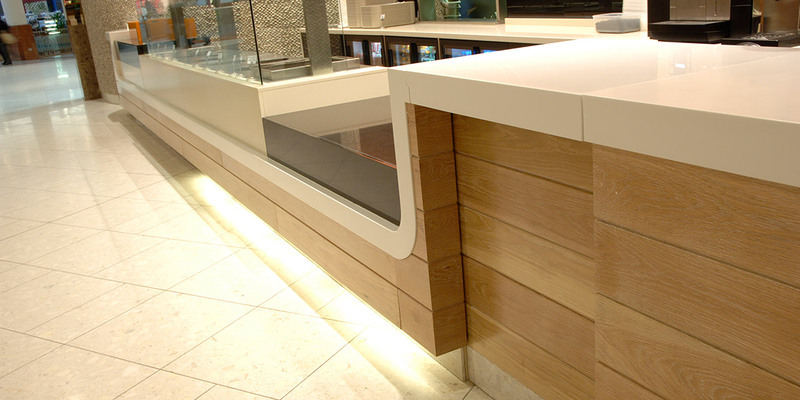 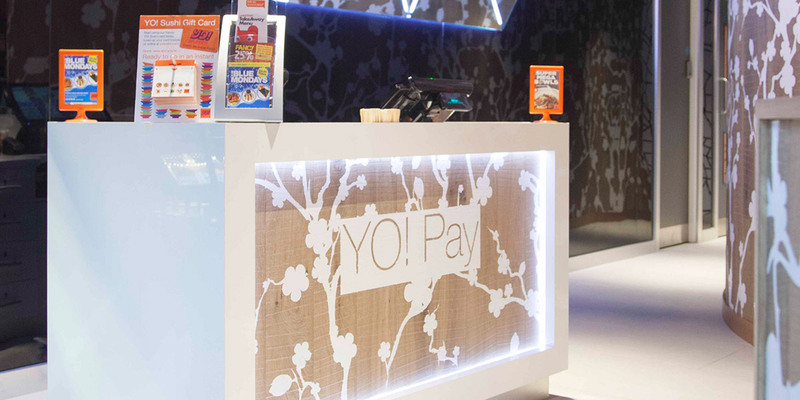 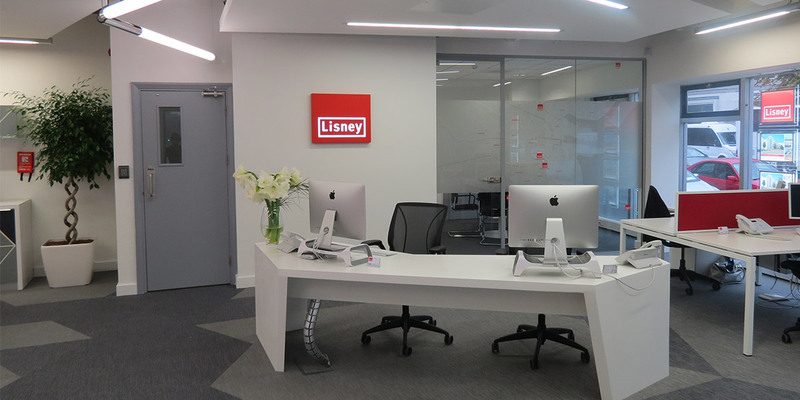 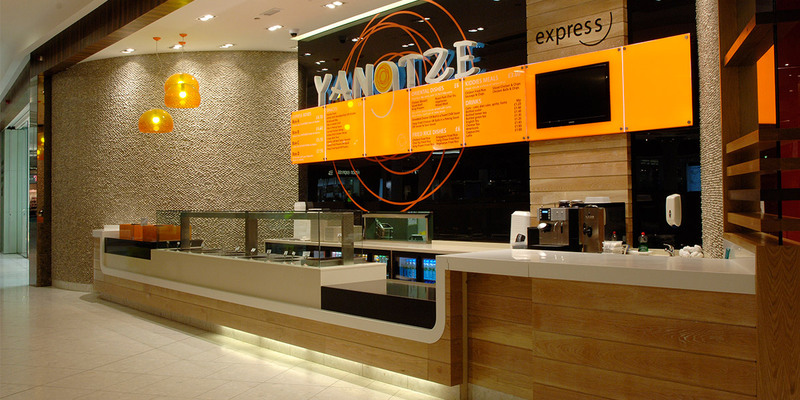 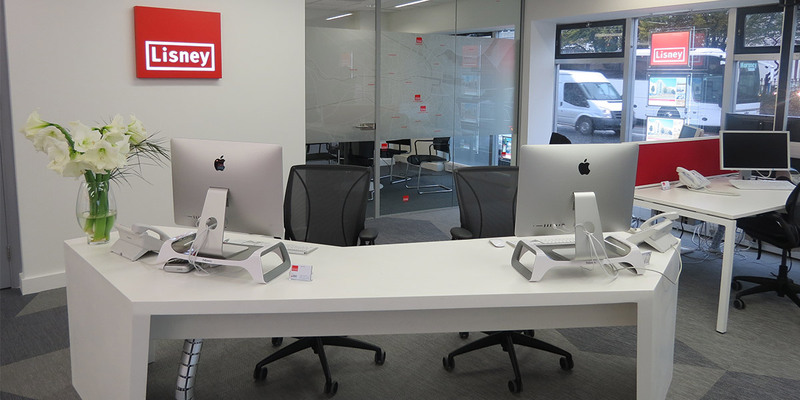 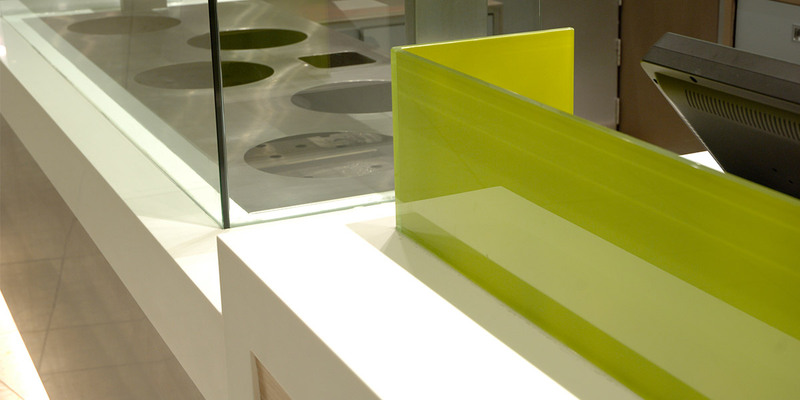 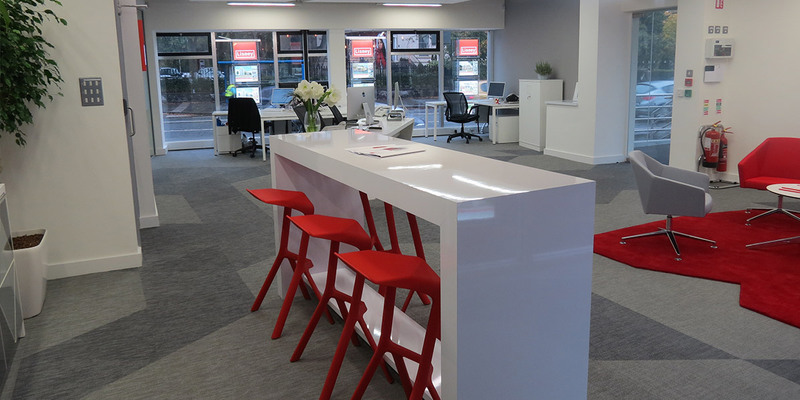 Corian reception desk, kitchen counter and breakfast bar within a stylish commercial interior. 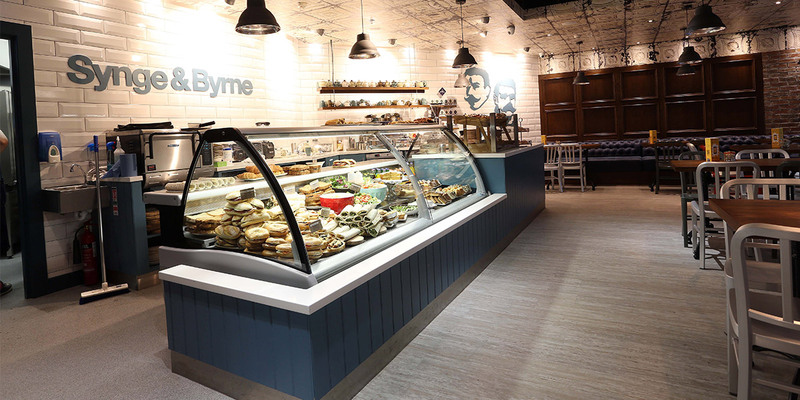 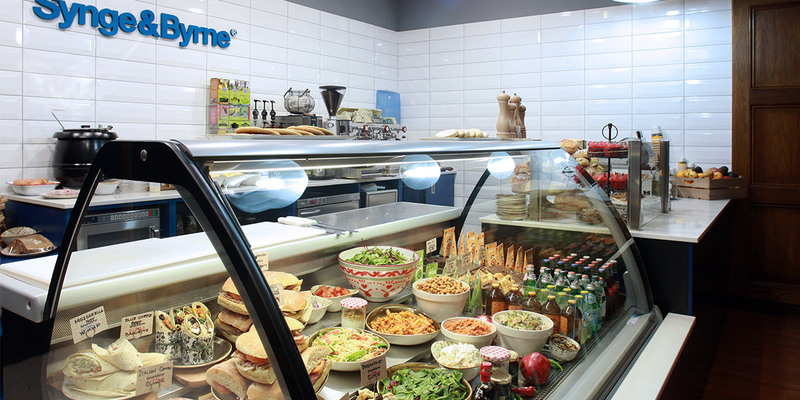 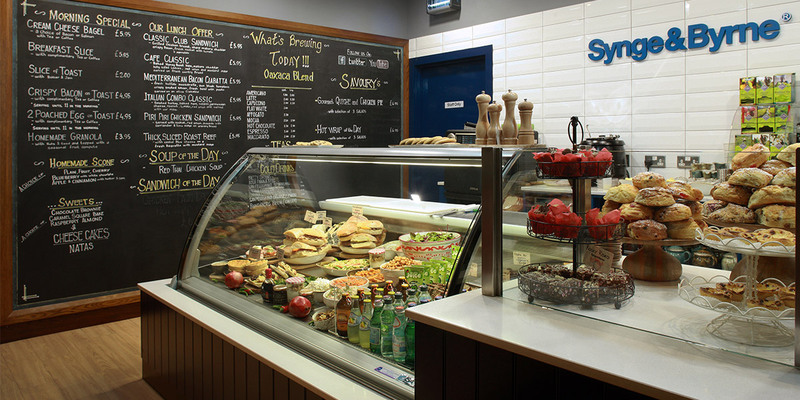 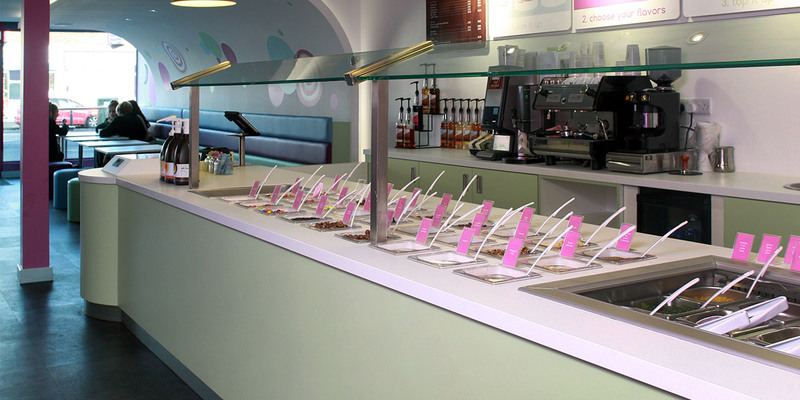 Bespoke curved Corian serve over counter with integrated bain-marie. 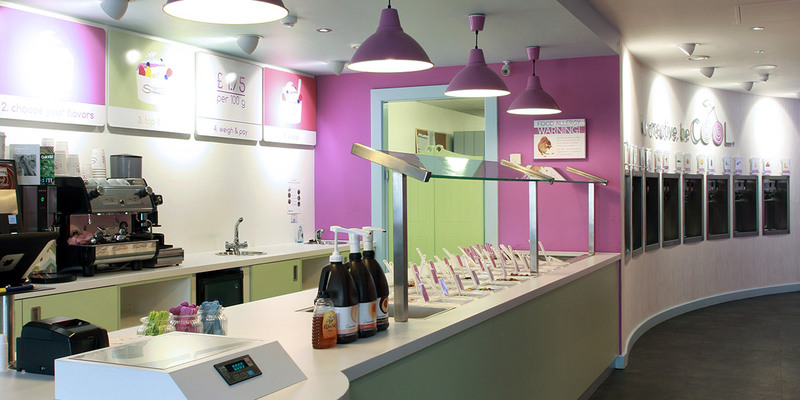 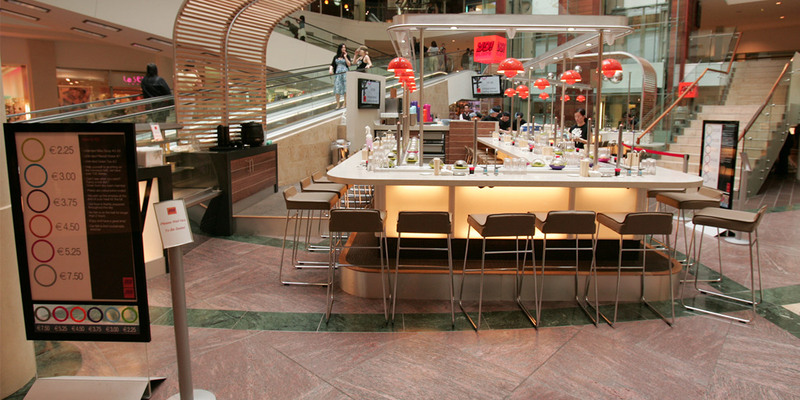 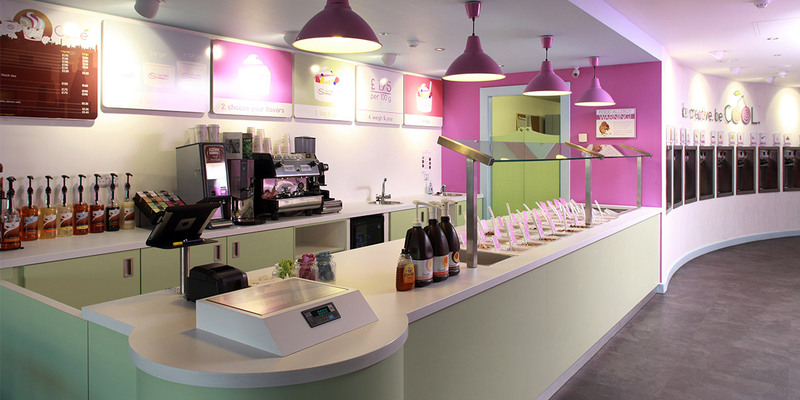 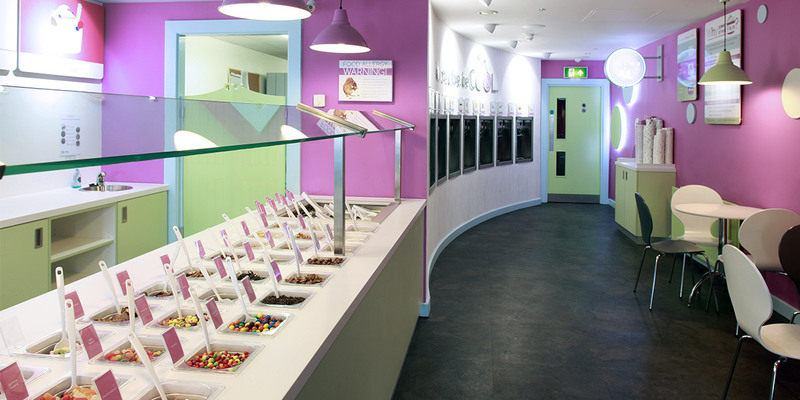 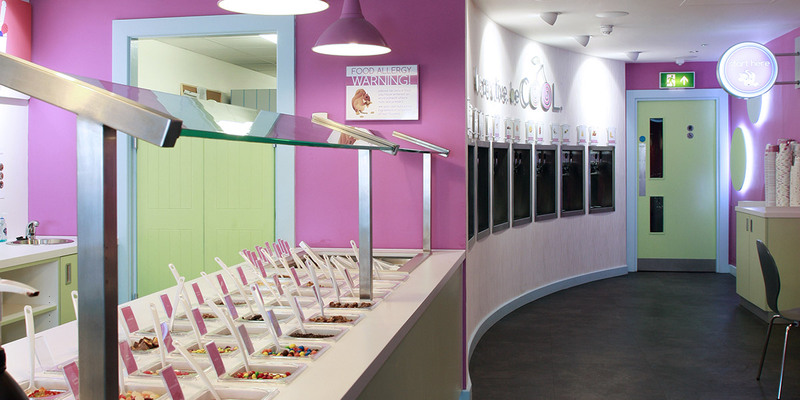 Bespoke 18ft Corian serve over counter with integrated weighing scales and confectionery bowls. 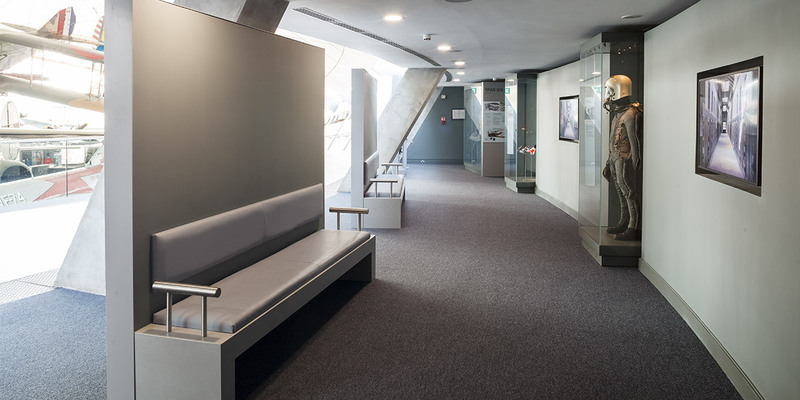 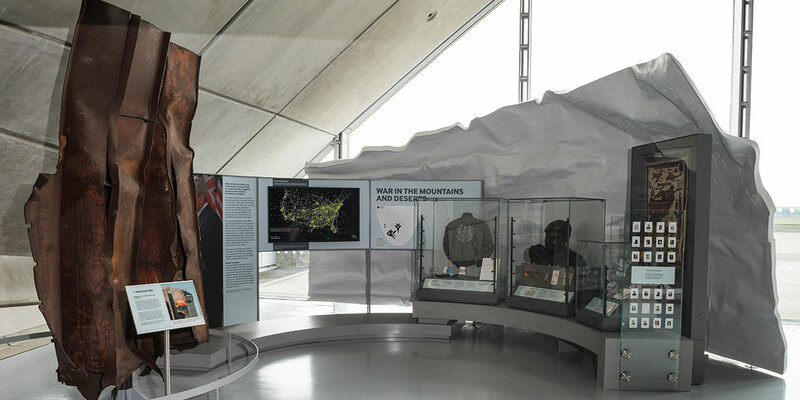 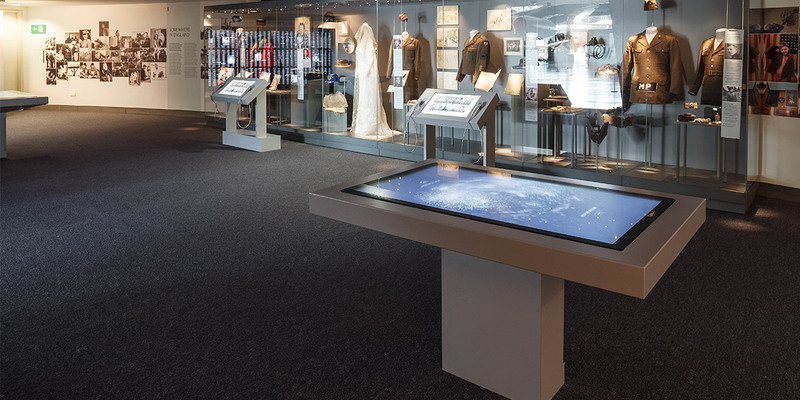 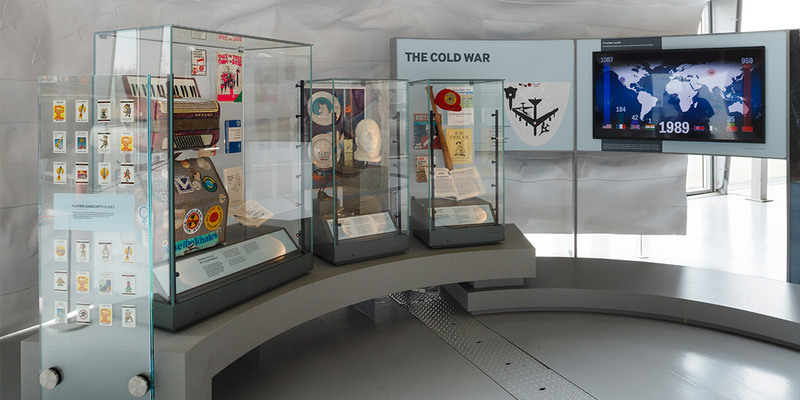 Curved decorative display plinths and bench seating fabricated from Corian in the iconic American Air Museum, IWM Duxford. 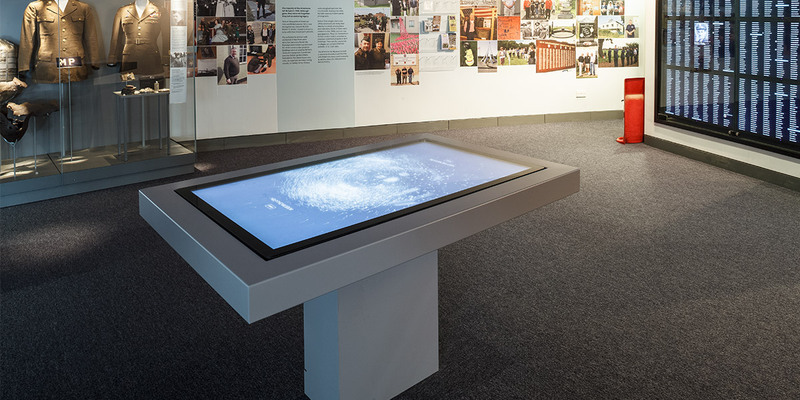 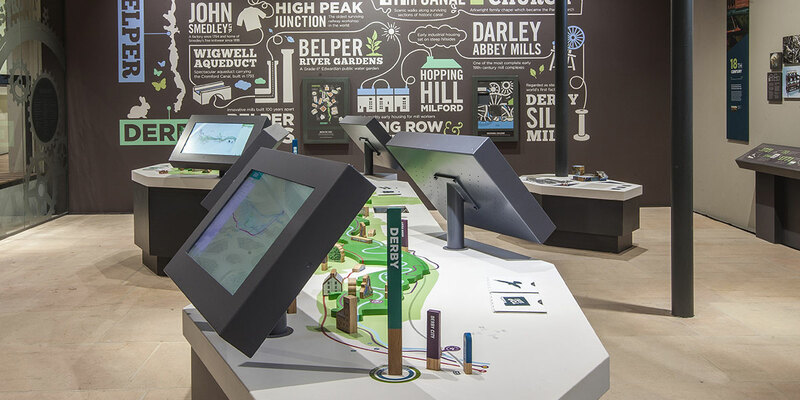 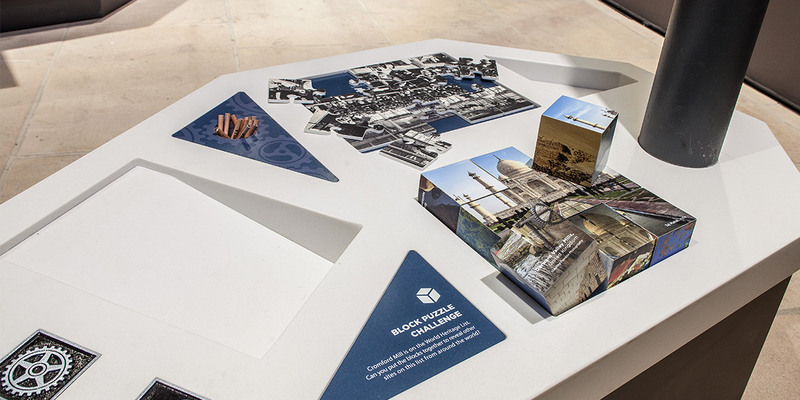 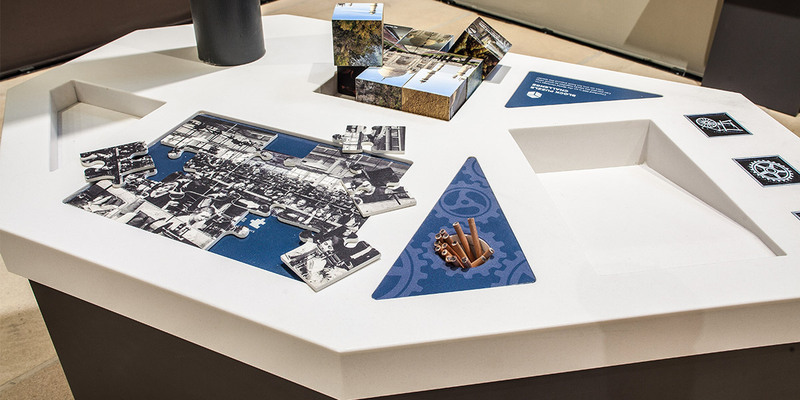 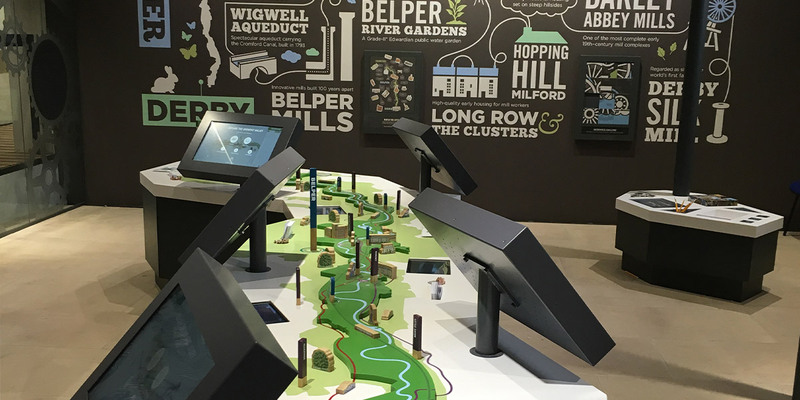 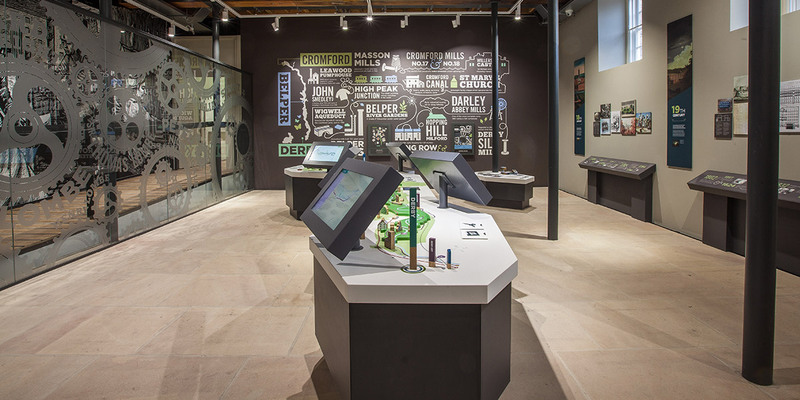 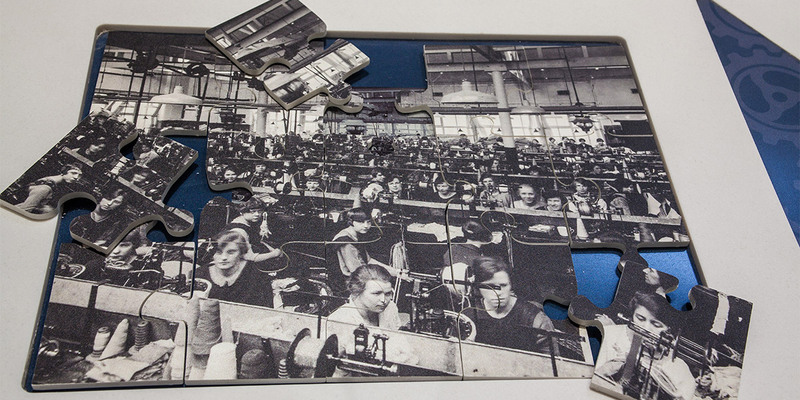 Physical interactive touch table manufactured from Corian. 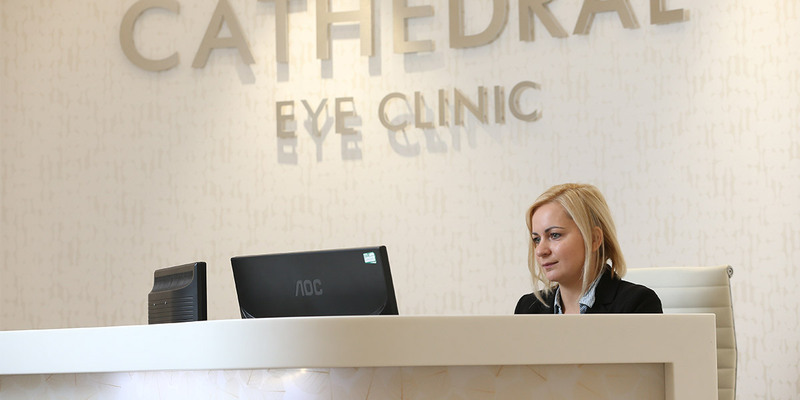 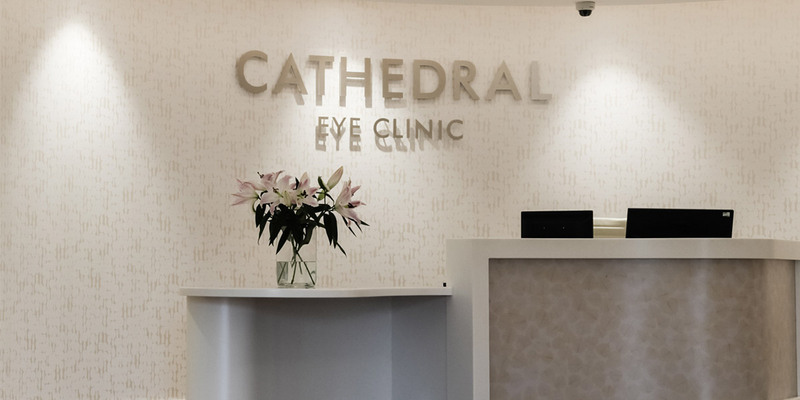 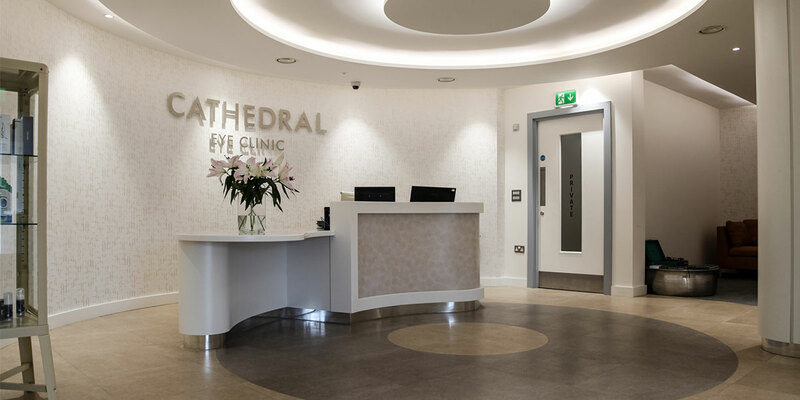 Feature curved Corian reception desk in the new Cathedral Eye Clinic, Belfast.